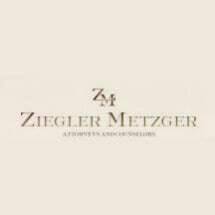 Our firm was founded in 1952 when Harold O. Ziegler and Roger L. Metzger began practicing law together in what was then the Union Commerce Building (now the Huntington Building). The shared background of the founders is reflected today in both our practice and quarters. Our clients include many of the region's leading companies, and our offices have remained at the same location in the heart of the city's legal and financial district. An emphasis on the special individual continues to be the basis of our firm's success. Whether distinguished by exceptional academic achievement, unique talent or extraordinary motivation, our partners and associates are truly capable of the firm's mission: to deliver quality counsel of good value.